It is already well known that aerobic exercise can help reducing the risks of almost every known disease involving the heart, the lungs and many other organs. 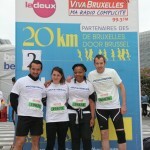 However, studies show that running also have mighty benefits for the brain, as it fosters the growth of new brain cells. In consequence, exercise can not only make you smarter, it also contributes to an improved mental condition. 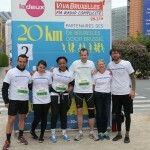 In order to raise awareness on these facts, the EBC team joined – and finished – the 20k race. 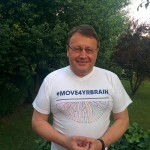 Henceforth, we encourage each and every one of you to start – or keep – exercising and share your pictures via Twitter #Move4YrBrain, or our website. Tee shirts can be made available upon request.